Your 6-day northern Thailand Tour of Ayutthaya, Cukhothai, Chiang Mai and Chaing Rai from Bangkok includes 4-start hotel accommodation and traditional Thai meals daily. You’ll follow your guide on an exciting coach tour of ancient cities, historic ruins, hill country villages, craft markets, elephant camps and rural countryside. Make stops in Chiang Rai and the Thai-Mayanmar (Burma) border on this truly memorable small group tour. 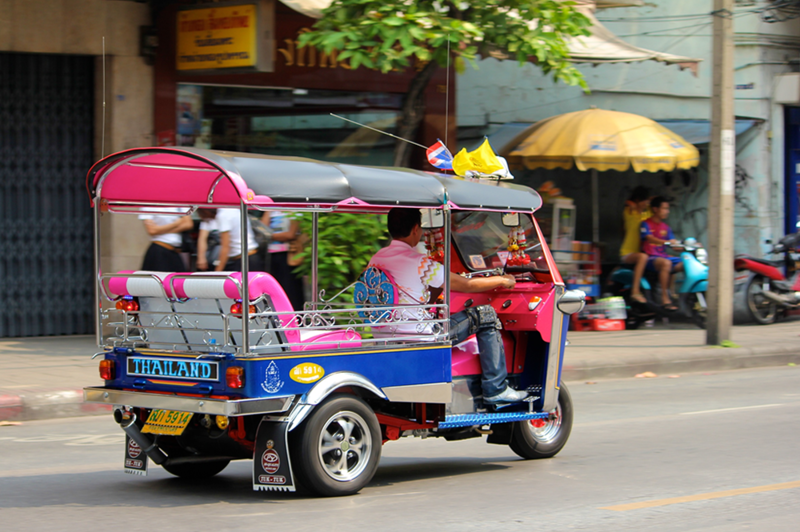 Begin your tour with an early morning departure from Bangkok, with pickup from your Bangkok hotel or Bangkok International Airport. Then, drive north by air-conditioned coach to Bang Pa-In, a lavish royal summer palace set amid lovely gardens that include charming Thai topiaries cut into the shapes of elephants. Upon arrival at the palace, your guide will discuss the combination of Thai and European architecture. Admire the elegant Thai pavilion, which stands in the middle of a lake, and see a Thai house constructed entirely out of wood. Back aboard the coach, head to Ayutthaya – the ancient capital city of Siam – where ruins of splendid temples and palaces once destroyed by the Burmese still remain. As you walk around with your guide, learn about the extensive canal and river network that helped Ayutthaya to flourish. Enjoy free time to browse the numerous stalls of Thai handicrafts and then have lunch at a local restaurant with your group. Afterward, embark on a scenic drive through the Thai countryside to Lopburi, a former summer capital of Siam during the 6th to 11th centuries. Here, view the magnificent stone carvings of Phra Prang Sam Yod, a block shrine with three spires. See the Kala shrine of Sarn Prakarn, a 13th-century Buddhist temple sanctuary now inhabited by hundreds of monkeys! In the afternoon, your guide will drive your group further north to the town of Phitsanulok along the banks of the Nan River, where numerous houseboats are moored. 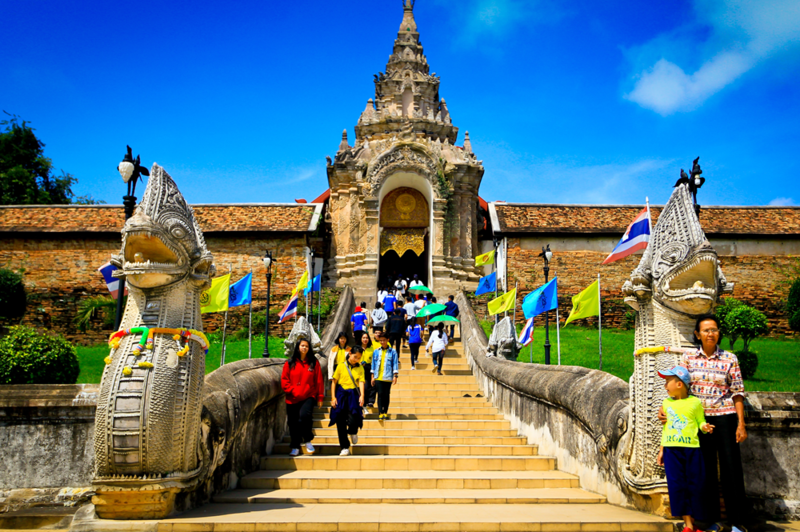 Visit the shrine of Wat Mahathat for a glimpse of ancient Thai religious architecture. Then, enjoy dinner with your group before an evening spent at leisure. After breakfast, you’ll visit Sukhothai, the 13th-century capital of Thailand. 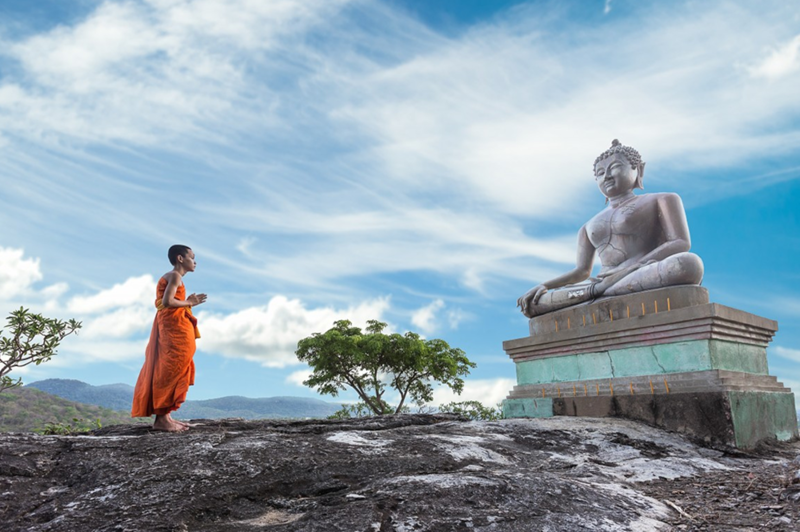 Admire numerous standing Buddha statues as you explore the ruined temples and monasteries in the ancient city, which was once protected by rows of ramparts and two moats. Then, head to nearby Si Satchanalai, considered Sukhothai’s twin city, where you’ll have lunch at a local establishment. In the afternoon, your coach tour will take you through rural Thailand and even further north through jungle-clad hills toward Chiang Rai. Along the way, stop in Phayao, a small 11th-century town where you’ll enjoy refreshments beside a lake. Arrive at your accommodation in the late afternoon and relax before dinner. After breakfast, board a van for an exciting day trip to visit several hill tribe villages for which northern Thailand is famous. 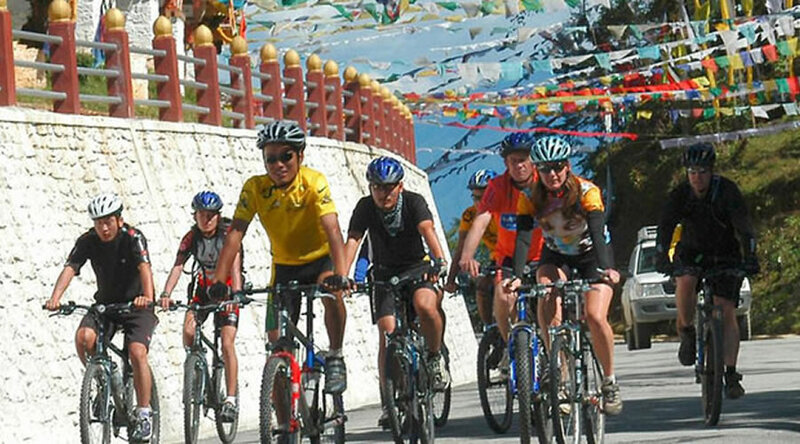 Enjoy scenic mountain views on the narrow climb, stopping in the Chinese settlement of Doi Mae Salong (Santikhiri) on the way. When you reach the Akha and Yao hill tribes, where villagers continue to wear traditional garments, learn about some of the customs of rural village life. Returning to the valley for lunch, your guide will take your group to Mae Sai, Thailand’s northernmost town near the Myanmar (Burma) border. Here, browse for Burmese handicrafts, and watch Thai and Burmese locals walking across the bridge that separates the two countries. Depending on conditions at the Thailand-Myanmar border, your group may have the option to cross the bridge into Myanmar on an approximate one-hour exploratory walk with your guide. (Two photocopies of your passport are required along with a border pass fee.) 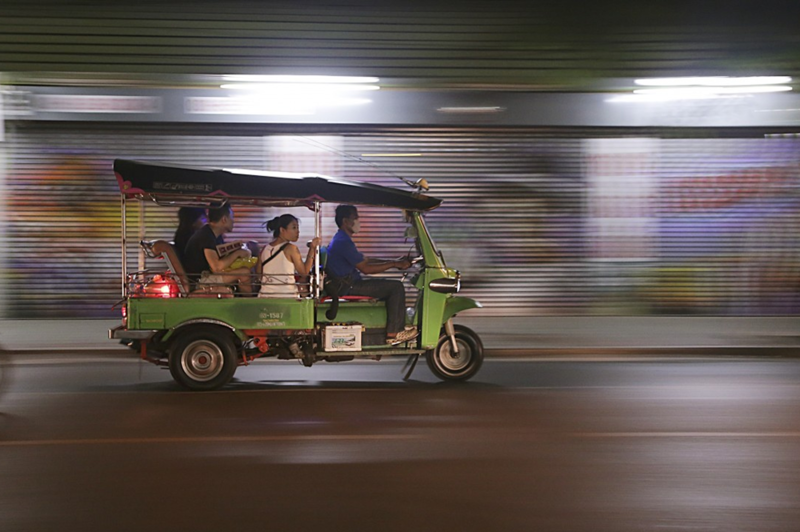 If you want to explore the marketplace in a different way, hop onto a rickshaw and be taken through its winding alleways aboard this local transport (own expense). From Mae Sai, drive to the heart of the renowned Golden Triangle where the Ruak and Mekong Rivers meet. Stand on a hilltop and enjoy views of Myanmar, Laos, Thailand and the mighty rivers below. An optional boat trip (own expense) is available for those who want to get closer to Laos, where you may spend approximately 30 minutes exploring the market area here. 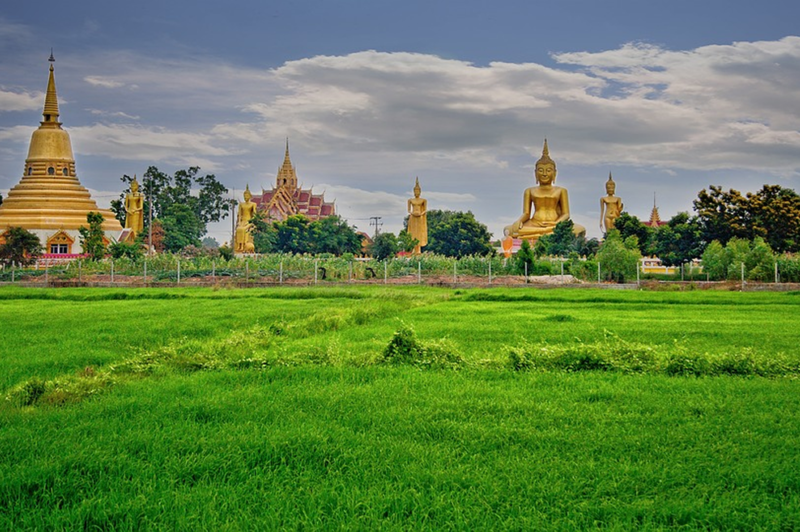 Afterward, visit Chiang Saen, where evidence of the original 13th-century city can still be seen; enjoy views of lovely old temples and finely carved figures from a tranquil spot on the banks of the Mekong River before your drive back to Chiang Rai. 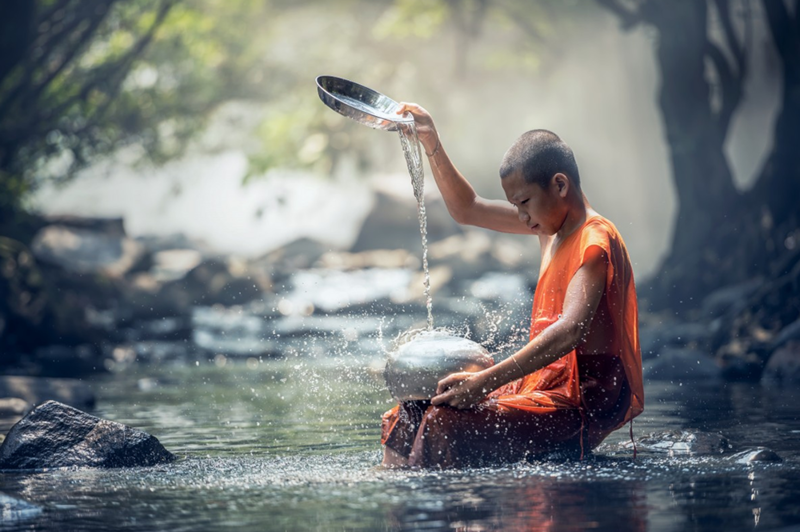 After breakfast, depart for Chiang Mai with your guide, stopping first in Mae Ka Chan, famous for its hot spring – a favorite bathing spot for the locals who soak there to relieve aches and pains. In the evening, after checking in at your hotel, enjoy a kantoke – a ceremonial dinner where traditional northern Thai dishes are served as you watch elegant dancers perform a series of folk stories. After dinner, the show continues with northern hill tribes performing traditional dances in colorful costumes. 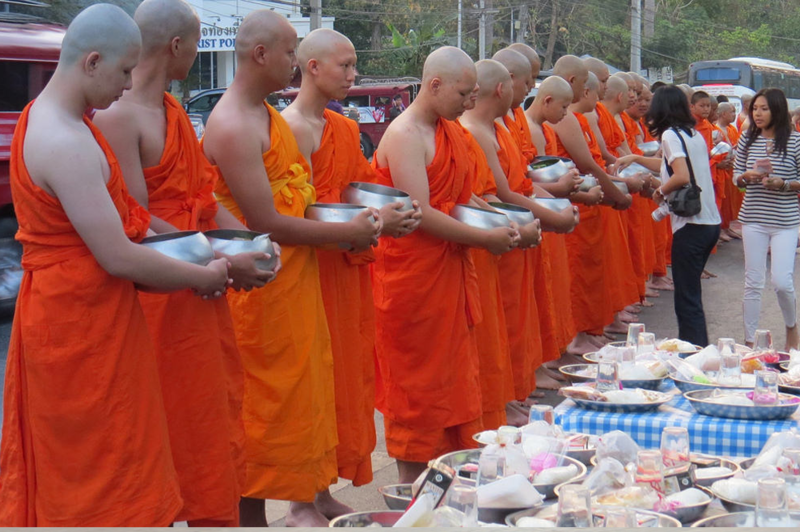 Enjoy breakfast with your group in preparation for a full day touring the Chiang Mai region. In the morning, visit an elephant camp where skilled mahouts (trainers) demonstrate how elephants have worked in the jungles for centuries. Watch in amazement as the elephants reveal their intelligence and strength, and be amused by their play as the elephants relax and bathe in the river afterward. After lunch at a local restaurant, your guide will take your group to the district of Sankampaeng, where Chiang Mai’s cottage industries flourish. Watch artisans create beautiful crafts as you browse for the perfect gift or souvenir. See how they weave intricate patterns of silk with their handlooms, carve elegant teakwood ornaments and furniture, and make distinctive Thai ceramics and lacquer ware – using eggshells to create unusual designs. 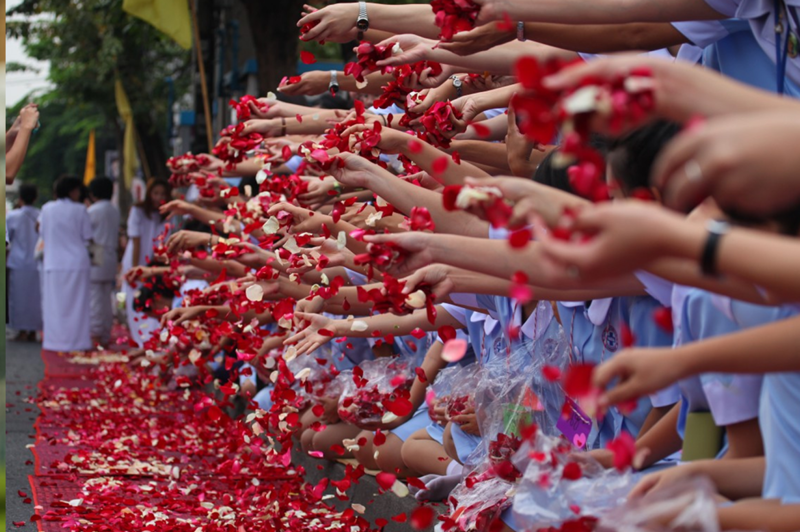 Marvel at the transformation of bamboo, silk and paper into colorful hand-painted umbrellas.